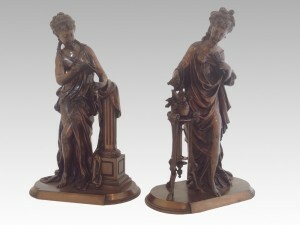 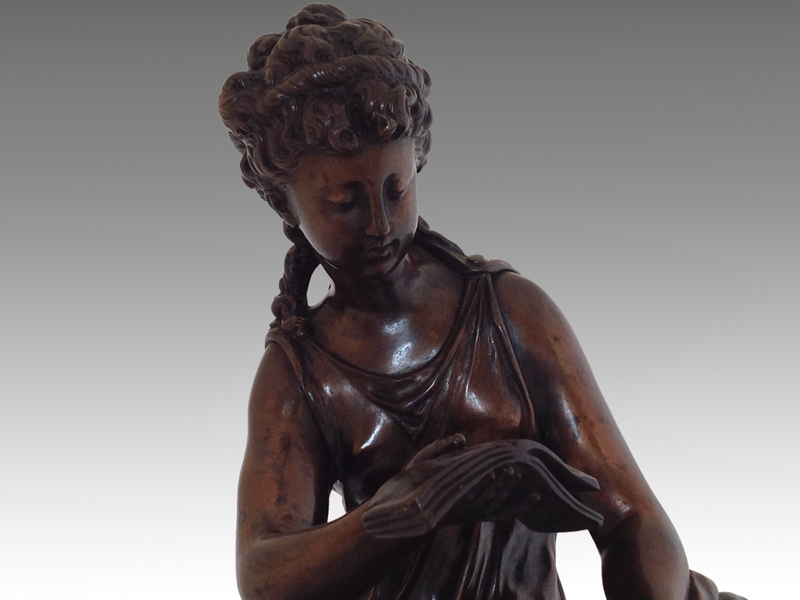 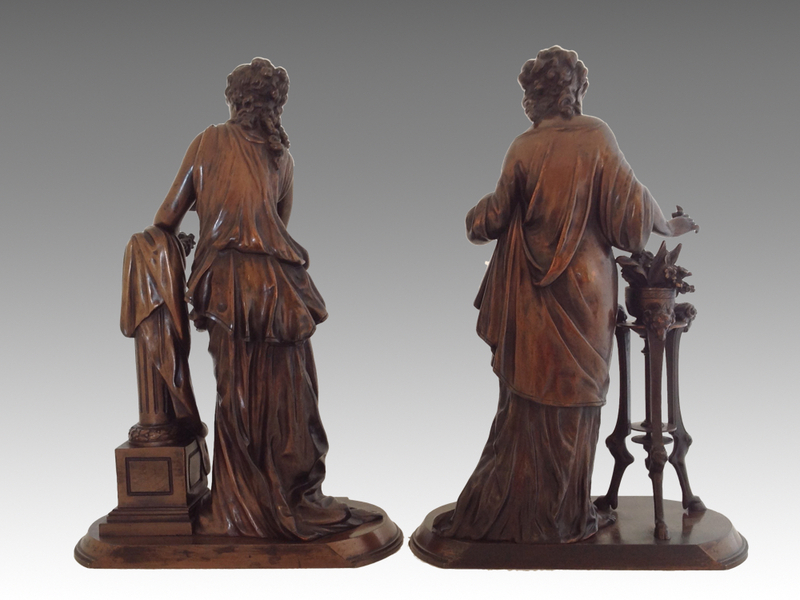 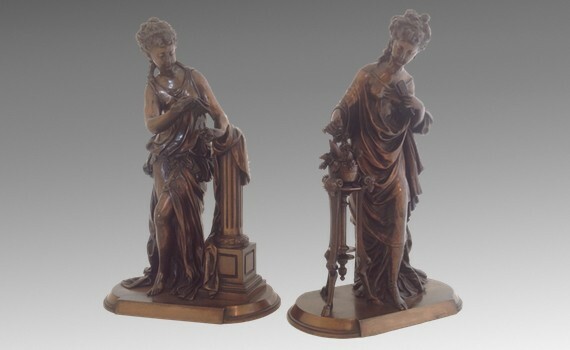 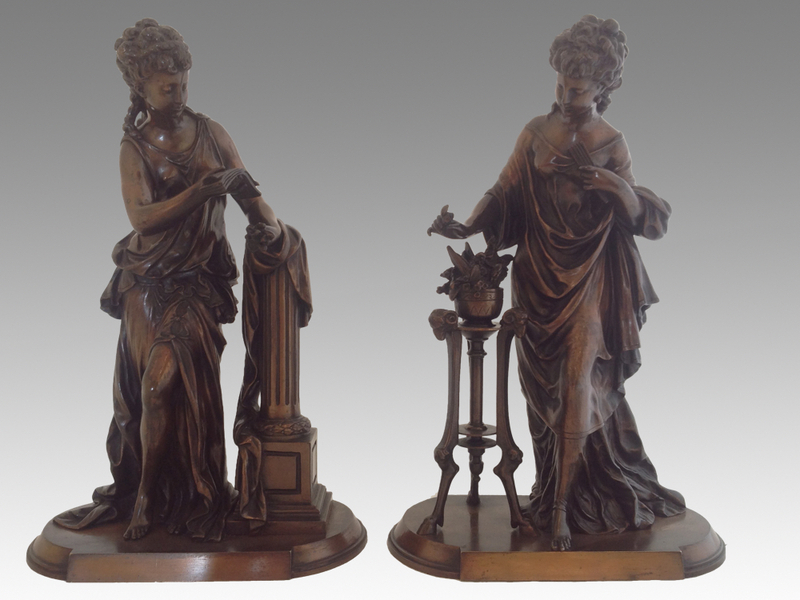 A pair of 19th century, French, patinated bronzes of classically dressed females. Each figure dressed in flowing classical dress, one standing picking a flower from a torchere, the other resting by a column reading a book. 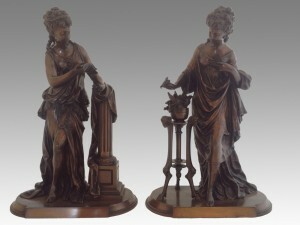 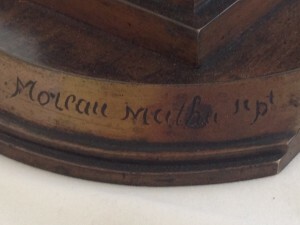 Both retaining their original patination, and signed to the bases ‘Moreau Mathu scpt‘.